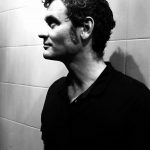 After eight years of the NSW Liberal Nationals government slowly implementing a suite of laws which have eroded civil liberties, including anti-protest laws and legislation passed under the guise of fighting terrorism, as well as a drawn out assault upon the cultural life in this state, there were many who thought it was time for its reign to come to an end. But, as the voting booths had it, the Coalition came back for a rare third term, with a majority in the lower house. And rather than putting this down to a case of statewide collective self-flagellation, analysts posit it was the offer of a stable government against a progressively floundering opposition. Ms Berejiklian first became premier of this state back in January 2017, replacing Mike Baird, who retired of his own volition. Indeed, Casino Mike actually endorsed his successor as an “outstanding” choice to take over his role. Meanwhile, any long-term stability NSW Labor had to offer under the leadership of Luke Foley fell by the wayside, as a result of allegations that he couldn’t keep his hands to himself after he’d had a couple to drink came to light last November. This saw him politely resign five months prior to the election. Then Labor lost any credibility within days of going to the polls, as footage came to light of new opposition leader Michael Daley partaking in xenophobic dog whistling, as he complained in a Blue Mountains pub last September about Asian people stealing jobs from Anglos. Following the NSW Coalition victory, everybody’s pondering what its implications are for the upcoming federal election. Stable leadership is not exactly what the federal Liberal Nationals government has been screaming over the past 12 months. 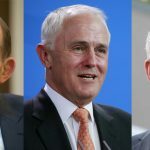 Last August, Malcolm Turnbull – the man who ousted Tony Abbott in a leadership spill back in September 2015 – suddenly fell prey to his old foe. Despite unelected reigning prime minister Scott Morrison’s protestations that he had nothing do with the toppling of Turnbull, Sydney Morning Herald journalist Peter Hartcher wrote last week that the “accidental” PM “was in it right up to his neck”. It seems that as Morrison was publicly proclaiming his support for Turnbull, he had five of his backers stand behind Dutton in his initial bid for the top job. And as the outgoing PM’s position became untenable, Morrison called his numbers back onside for the second vote. So, if any comparison with the NSW election can be made, it’s that the government in the federal case is running with a short-term, inexperienced leader, just as the NSW Labor Party was. And further, in the case of the federal Coalition, the cohesion in the party is about as solid as a souffle. The first sign that the country had lost all faith in the federal LNP was when the Morrison government lost the seemingly unlosable Wentworth by-election, which had been a safe seat for the Liberals and its predecessors since Federation. And as it became increasingly apparent that his party would suffer defeat, the PM in an attempt to win a few votes, put forth a passing thought bubble as if it was policy, announcing he may recognise Jerusalem as the capital of Israel acting like geopolitics is a mere board game. Following her byelection win, Dr Kerryn Phelps entered the lower house and within week’s introduced the Medevac Bill. This enabled doctors to make medical decisions about whether sick detainees in the nation’s offshore detention gulags should be brought here for treatment. All Operation Sovereign Borders architect Scott Morrison could do was to speak incessantly on 2018’s last sitting day of parliament, so that the Phelps’ bill wouldn’t have time to go up for the vote and be passed. But, this was merely a smug delaying tactic. As parliament resumed this year, Morrison again sustained another significant defeat. The Medevac Bill was passed, which marked the first time an Australian government had lost a substantive vote in parliament since 1941. He’s the man, who when immigration minister, appeared in a video welcoming detainees to Manus Island and Nauru immigration detention centres and warned them that even if they were legitimate refugees, they better get used to living in prison, as they’d never make it to Australian shores. 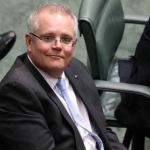 As parliament was set to vote on Medevac in early February, Morrison told the public that the “stupid bill” would enable refugees detained offshore who could be rapists, paedophiles and murders to make their way into the country. Of course, Morrison has been stoking xenophobic flames for years now. Despite denying it of late, in 2011, as opposition immigration minister, he urged the shadow cabinet to capitalise on growing immigration concerns and focus on the idea that Muslims have an inability to integrate properly. Hartcher further brought to the fore last week that in 2014, Morrison had a $9 billion plan to build mass detention facilities in the country, where many of the 30,000 asylum seekers already living in community on bridging visas could be held. And all this has left the current PM looking like a Hanson-esque figure in the wake of the Christchurch tragedy, compared to his NZ counterpart Jacinda Ardern: an example of how politicians will act in the future. And let’s not forget even an humiliated Pauline called Scott “a fool” last week. To draw a comparison between the NSW election outcome and federal Labor is easy. Bill Shorten is the epitome of long-term, stable leadership. He’s been in his position since October 2013 and there’s been no major squabbling beneath him. True, the Labor Party has been criticised for its wavering support for Adani and its position on offshore detention. But, compared to the Liberals, it has always ebbed on the side of compassion, diversity and increasingly the environment. And if any state election should be the one to form an opinion on the likely outcome of the May federal election, it should be the landslide Labor victory in Victoria last November, which saw a stable Andrews government defeat a race-baiting and fearmongering Liberal opposition. Last month, the federal Liberal Nationals government reached a milestone, when it racked up its 50th straight Newspoll defeat, with Labor pulling ahead with 54 percent on the two-party preferred measure. 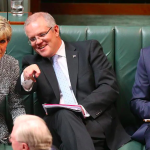 And as the Morrison government delivers its first, and probably final, budget, its desperation is palpable, as it offers a one off – $75 for singles/$125 for couples – vote-for-us bribe to almost four million pensioners and welfare recipients to use towards their next energy bill.